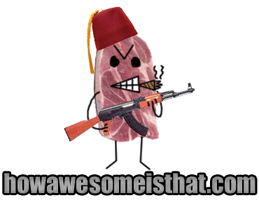 The Only Website With The Courage To Tell YOU What To Think! It's a funnel, and it's ghetto. Woo. 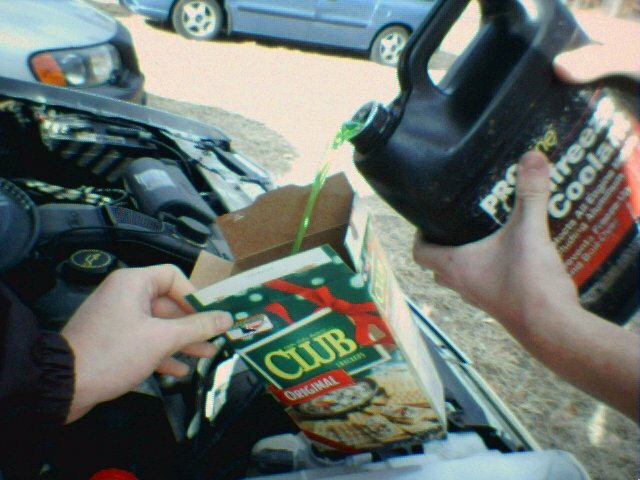 What does Matt do when he needs to put coolant in his car, but has nothing but an old cracker box and two GPA members? Improvises! Matt made a hole in one corner of the box and had Mark hold it, while he poured the coolant into the box. I captured this Kodak moment for you, our adoring Internet audience.